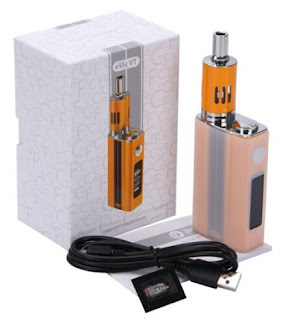 2.Nickel 200 (Ni,Made in USA) and Titanium (Ti) wires, applied with eGo ONE Mega atomizer, greatly enhance the performance of eVic-VT.
3.The Variable Temperature (VT) system provides an almost perfect vaping experience with various e-juice through temperature control system,and at the same time, it decreases e-juice consumptio. 4.Also, it is economical in battery consumption. When vaping, the wattage will reach to maximum in no time and the device can easily sustain in high temperature but with much lower wattage. 5.eVic-VT can record your vapor Time and Puff automatically. In Time or Puff mode (flashing), long press the fire button to eliminate records of each.